Taylin Duman points to Alex Pearce and Joel Hamling to fill the leadership position down back. 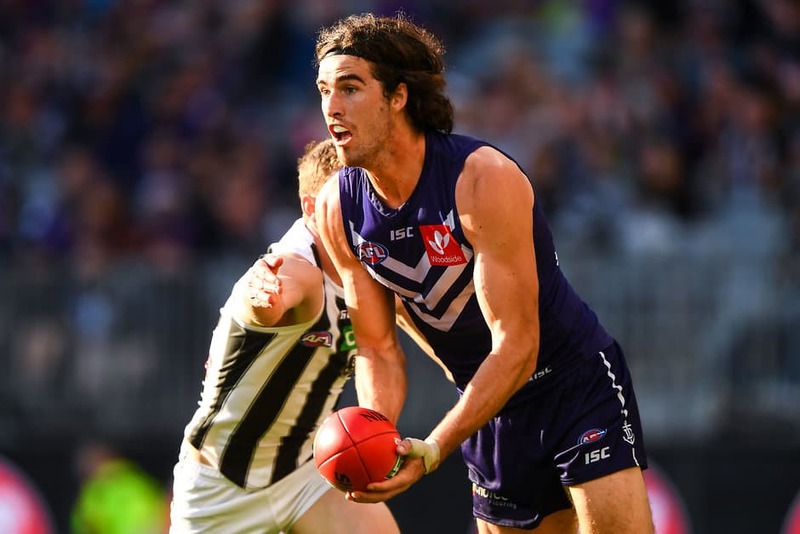 With the retirement of veteran defender Michael Johnson, Fremantle will look towards Alex Pearce and Joel Hamling to fill the leadership role in the backline. Rookie defender Taylin Duman said both players are emerging young leaders who are best suited for the role. But he emphasised that the responsibility is on all the players to step up. “Alex Pearce and Joel Hamling are really good leaders, both are quite young but Joel’s already played in a Premiership with the Western Bulldogs and Alex is going to be a really good player for us,” Duman said. Duman was one of the many first year players to excel this season. He made his debut in round five against the Western Bulldogs and averaged 15.7 disposals, 10.2 kicks and 4.8 marks in his ten games for the year. As the club looks to continue the development of its young side, Duman said he is ready to earn a regular spot in the team. “I just really want to have a big preseason and comeback fitter and stronger, hopefully cement a spot in the side next year - that’s what everyone wants to do,” Duman said.